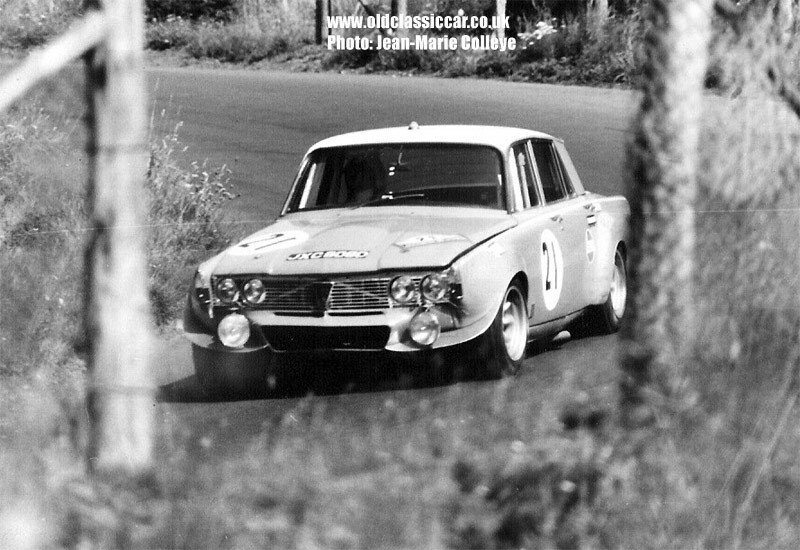 Trained accountant Steve O’Rourke and EMKA productions became the management team for Pink Floyd post Syd Barrat and both Steve and drummer Nick Mason shared an interest in racing cars. Steve’s international racing career got of the ground with a Ferrari 512BB which he entered and drove from 1979 to 1980 scoring a best 7th place finish in the 1980 Silverstone 6 hours with Chris Craft and Vic Norman. 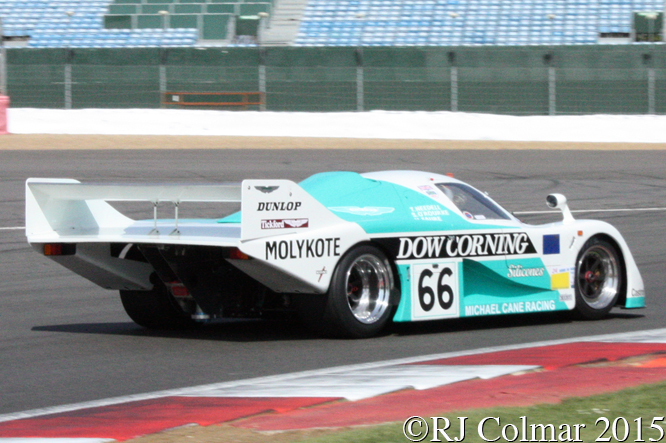 In 1981 Steve had Michael Cane Racing convert Niki Lauda’s 1979 Project Four Motorsports BMW M1 Procar to a more liberal Group 5 spec and raced that for two season’s scoring a best 2nd place in the 1981 Silverstone 6 Hours whith Derek Bell and David Hobbs sharing the cockpit, Nick Mason also co drove Steve’s BMW M1 on it’s two outings in 1982. 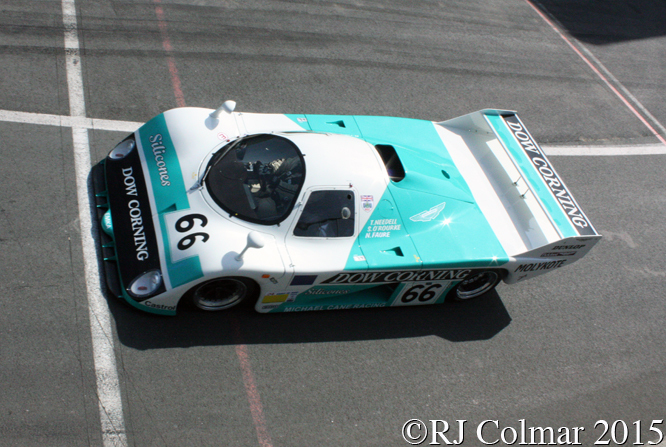 For 1983 Steve made the bold decision to follow in the footsteps of Robin Hamilton and Nimrod to build his own Aston Martin powered Le Mans challenger the EMKA C83/1. Len Bailey who was based at Gomm Metal Developments in Woking did the design work, Gomm did the metal work, the fibre glass body was constructed by Protoco, Aston Martin Tickford supplied 5,340 cc / 325.8 cui V8 engine and the whole car was prepared for competition by Micheal Cane Racing. 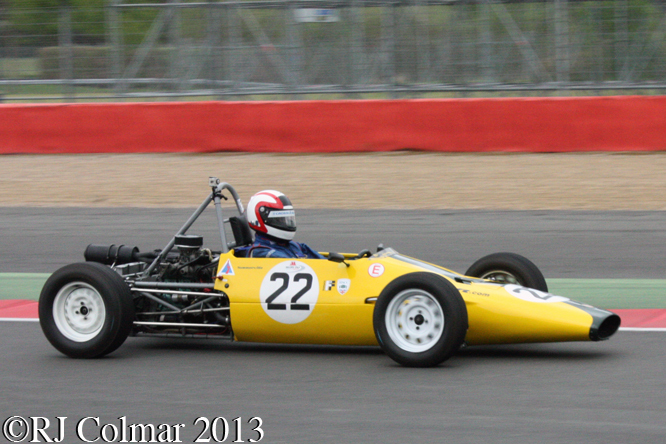 On it’s debut at Silverstone the C83/1 was driven by Tiff Needell, Jeff Allam and Steve, they qualified 17th but retired on the last lap due to a failed wheel bearing. Nick Faure replaced Jeff at Le Mans for the 24 hour race where the car qualified 25th and finished 17th despite spending 2 hours in the pits with a suspension problem. 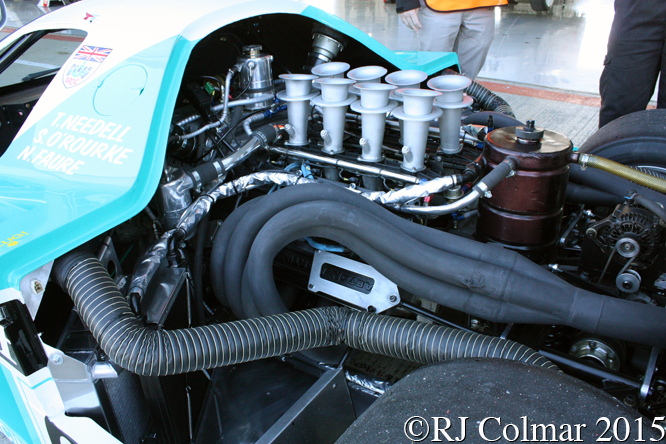 Due to uncertainty over the 1984 fuel regulations the C83/1 did not race again until 1985, by which time the ground effect venturi had been replaced with a flat floor, the rear suspension had been revised and the car had been renumbered as C84/1. At Silverstone the C84/1 driven by Steve, Tiff and Bob Evans was nearly four seconds a lap in qualifying than two years earlier and qualified 15th for the six hour race but it retired again this time due to an engine issue. 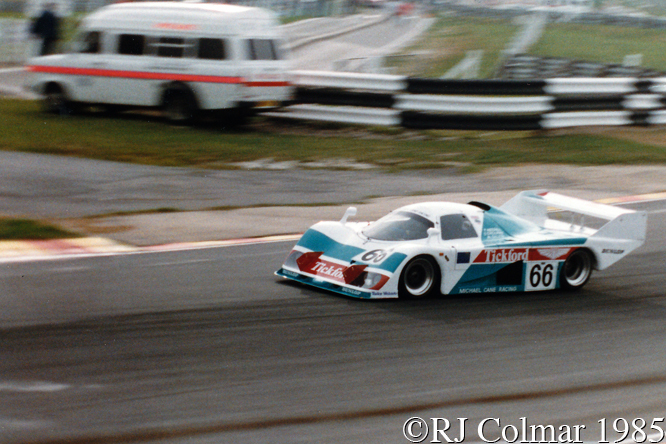 Nick Faure again drove the car at Le Mans in 1985, in place of Bob, and the trio were now nine seconds a lap faster in qualifying and started from 13th on the grid. By employing an out of sequence fuel strategy Tiff Needell was able to lead the 24 Hour classic for 9 mins during the opening hours before finishing a respectable 11th. 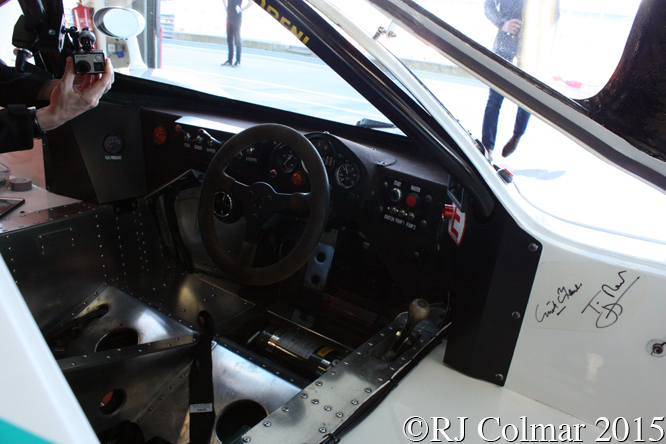 C84/1 appeared at Spa where James Weaver took over the guest seat from Nick Faure and at Brands Hatch, as seen in the last photo where Mark Galvin took over from James. The car qualified 17th and 10th respectively, retiring from both races fuel pressure and drive belt issues respectively. Steve retired from competition until 1991 when he returned racing GT’s winning the British GT GT2 and GT1 class drivers championships with co-driver Tim Sugden in 1997 and 1998 respectively, his highest Le Mans finish was 4th also in 1998 when he shared his McLaren with Tim and Bill Auberlen. A second EMKA was built in 1989 using the discarded ground effect floor from the C83/1 and spare parts from C84/1 including the revised type of suspension, with the original red C83/1 bodywork. 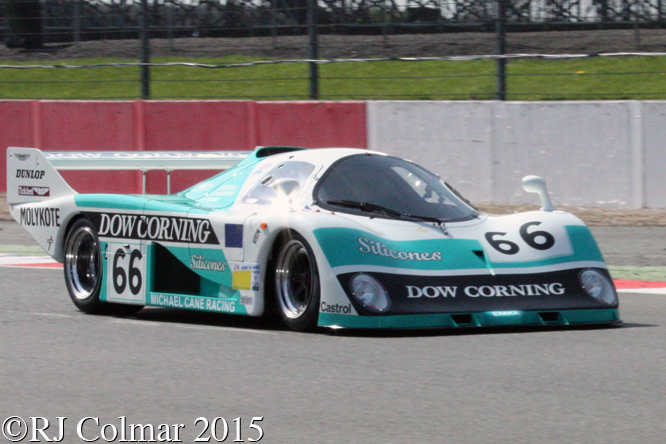 Owner Rudolf Ernst is seen at the wheel of C84/1 in the photo’s above taken at the Silverstone Classic Test Day earlier this year. 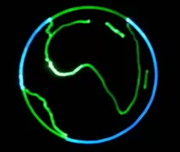 Thanks for joining me on this “9 Mins Of Fame” edition of “Gettin’ a li’l psycho on tyres” I hope you will join me again tomorrow when I’ll be looking at another Le Mans Challenger from Mercedes Benz. Don’t forget to come back now ! 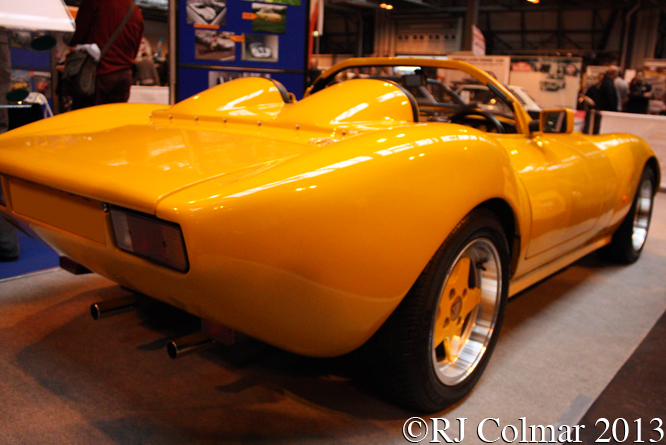 This entry was posted in Uncategorized and tagged 1000 kms, Allam, Aston, Bailey, Brands, C83/1, C84/1, Cane, Classic, Colmar, Day, EMKA, Evans, Faure, Floyd, Galvin, Gomm, Hatch, Martin, Mason, Michael, Needell, O'Rourke, Pink, Protoco, Psychoontyres, Racing, Ralph, Silverstone, Test, Tickford, Weaver on June 27, 2015 by Ralph. 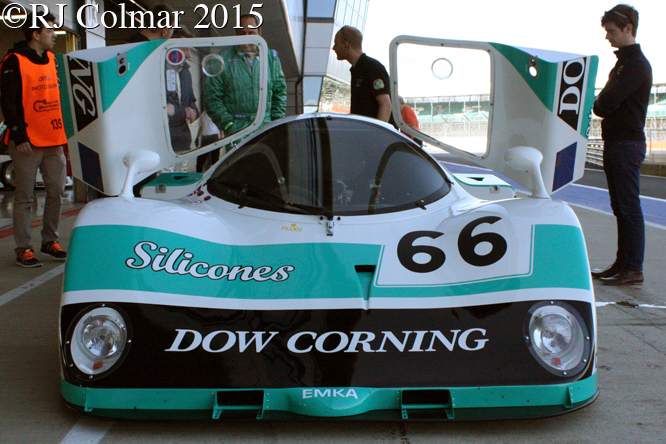 A couple of weeks ago I visited Silverstone for the launch of this years Silverstone Classic which will be run on the weekend of the 26th to 28th July. Standing just inside the gates to the Silverstone Wing were several cars to be auctioned at this years Classic by Silverstone Auctions, top billing goes to a 1965 Aston Martin DB5 which is due to go under the hammer with no reserve, perhaps slightly more affordable is 1956 Jaguar XK140 Fixedhead Coupé SE which during the 1970’s was acquired by the Reverend John Fellingham and raced with many successes. 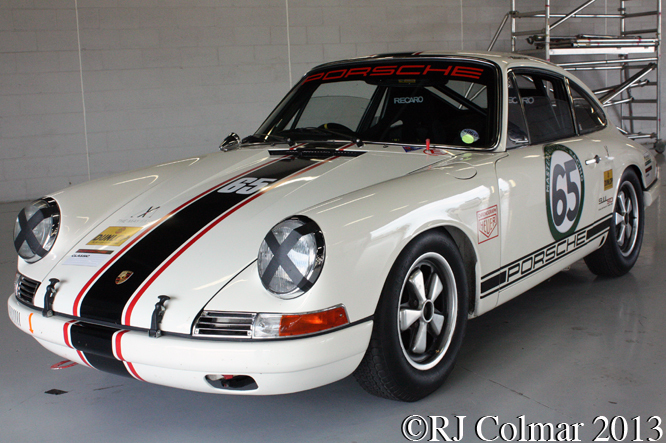 Known as the Vicars car it was subsequently prepared for, but not used in, the 1999 rerun of the Carrera Panemerica, the top end estimate for the vehicle is £65,000. 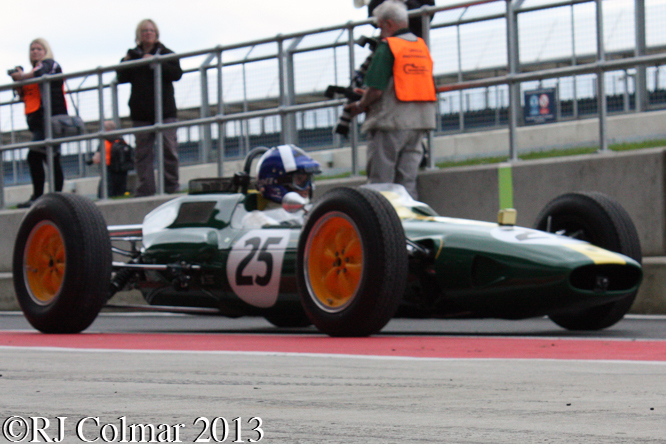 The 23rd Silverstone classic will be run almost 50 years to the day of a well remembered British Grand Prix support race for Formula Junior cars which featured a 25 lap battle between the King of Formula Junior Peter Arundell driving a Lotus 27 similar to Alan Baillie’s example above and the Brabham BT6 driven by New Zealander Denis Hulme. 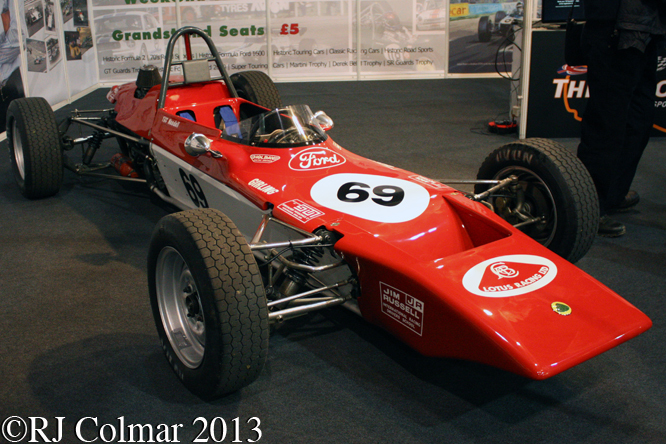 Eight original Formula Junior cars that took part in the 1963 race are entered for this years Silverstone Classic Event, including Peter Arundell’s winning car driven by Micheal Hibberd, which is sure to be as hotly contested as the one run 50 years ago. 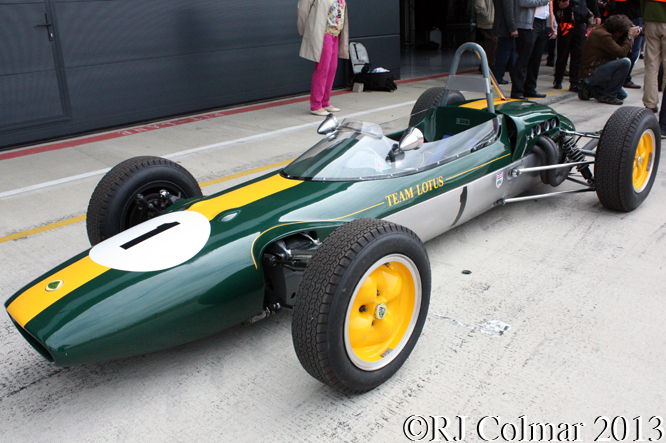 During the Press Day proceedings David Coultard was trying out Jim Clark’s Lotus 25 Grand Prix car, chassis R4 in which Jimmy won won seven victories on his way to his first world drivers championship in 1963, for the television camera’s to mark the 50th Anniversary of Jim Clarks first World Drivers Championship. It was great to see several of Jimmy’s Lotus mechanics in attendance including Cedric Selzer and Bob Dance. I saw a wheel chair bound Bob a couple of days earlier giving a talk to members of The Nostalgia Forum so was most surprised and pleased to see him leaping about, with seat belts and what not, while installing David Coultard into the car, recovered from sciatica. There will be three mass demonstrations of vehicles over the Silverstone Classic weekend including it is hoped a lap of the Silverstone circuit by 911 Porsche 911’s to mark the 50th Anniversary of the Porsche 911, further demonstrations will mark the 100th anniversary of Aston Martin and the 60th anniversary of the Chevrolet Corvette. 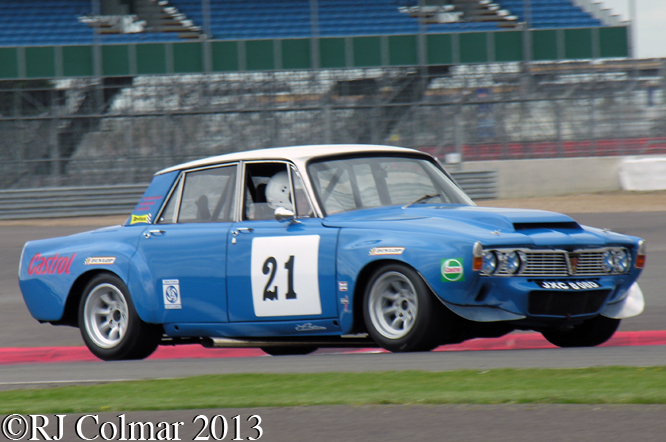 For my money the most remarkable car at the Silverstone Classic press day was this Rover 3500S, or at least that is what it resembles. The car was built at the behest of none other than the Chairman of British Leyland Lord Stokes who wanted a car that could take overall victories from the Ford Mustangs and Chevrolet Camaro’s that were ruling the roost in British saloon car racing. With a top speed of 170 mph the 360 hp 4.3 litre / 262 cui Traco Oldsmobile powered car seen here was entered into the 1970 86 hour Marathon de la Route run over three and a half days at the Nurburgring. Roy Pierepoint, Roger Enever and Clive Baker comfortably led for 16 hours until a propshaft vibration brought about the Rovers demise while leading a fleet of works Porsche 914/6’s by over 3 laps / 51 miles. 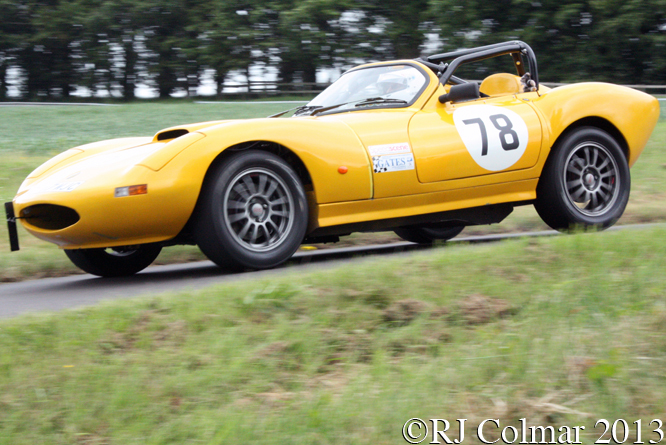 The Rover is scheduled to take part in the Super Car Touring Trophy, a one off race run at the Silverstone Classic last year which has become a series this year, with owner Ian Giles at the wheel. Two races will be run for the Historic Formula Ford Series, another personal favorite series, for the first time at the Silverstone Classic. 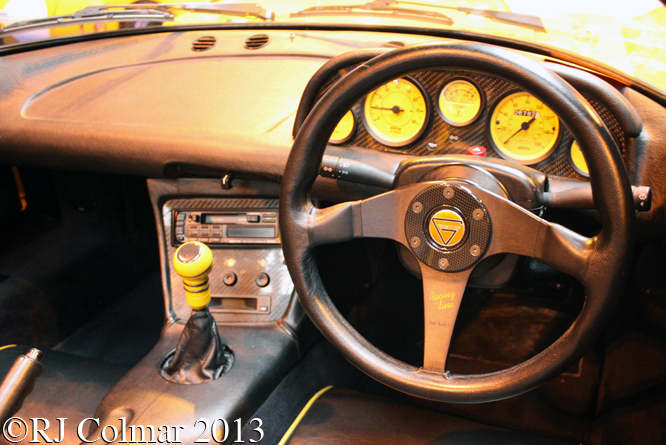 Above Paul Summerville driving a 1971 Ginetta 18B will be competing against Tiff Needell in his Lotus 69. 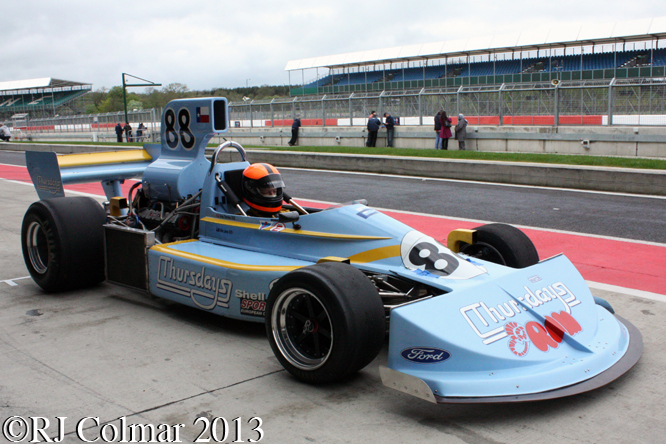 Tiff Needell’s former IBEC Le Mans team mate and former British Formula One Champion Tony Trimmer, seen above in a March Formula 5000 car powered by a Ford GA V6 motor, is scheduled to be driving in the combined Formula 2 and Formula 5000 races. 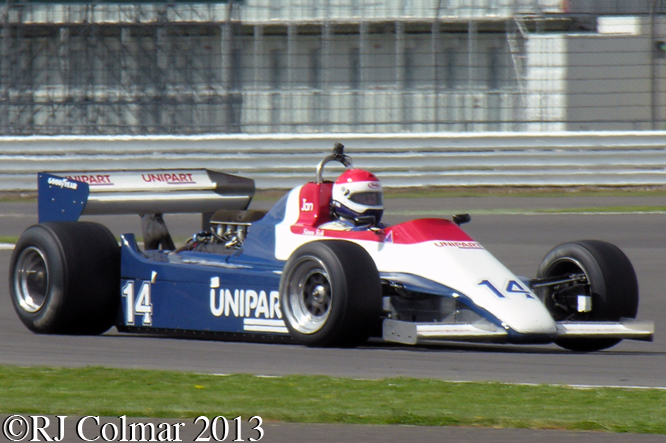 The Grand Prix Masters Formula One races are scheduled to include Simon Fish driving the Ensign MN180, another car with a Tiff Needell link his one and only Grand Prix start was driving a similar car in the 1980 Belgian Grand Prix qualifying 23rd but retiring after 12 laps with engine failure. In all 24 races are scheduled for the Silverstone Classic powered by AA which will include plenty of fun for the whole family. BMW are sponsoring a big wheel from which the whole Silverstone site should be clearly visible. For campers there will be live music provided by The Hollies who have recently reformed along with Stars from the Commitments, while tribute bands Floyd Reloaded, Boot Led Zeppelin, The Guns and Roses Experience and the Ultimate Eagles will be catering for those with heavier tastes. As Tiff Needell said “It will be like reliving my youth”, I can’t wait. Entry for Silverstone Classic is by advance ticket only, which are available from the ticket page on this link, if you are an AA member to look out for the 10% discount. Thanks for joining me on this ‘Five Star Day Dream’ edition of “Gettin’ a li’l psycho on tyres”, I hope you will join me again tomorrow for the next installment of this years potted history of the Indy 500. Don’t forget to come back now ! 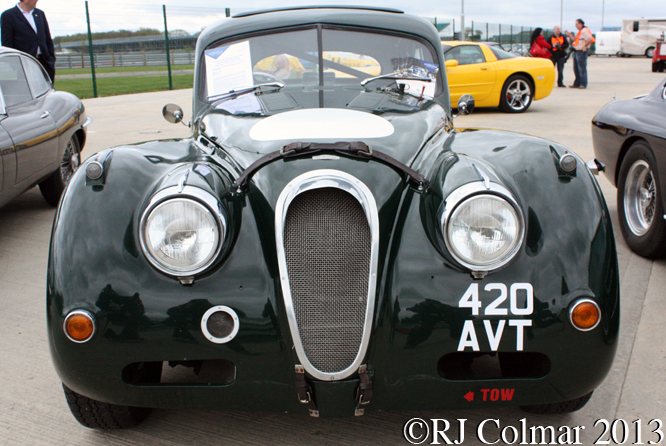 This entry was posted in Uncategorized and tagged AA, Auction, BMW, Classic, Colmar, Coultard, Ensign, Fish, GALPOT, Ginetta, Jaguar, Lotus, March, Needell, Porsche, Ralph, Rover, Silverstone, Summerville, Trimmer on May 22, 2013 by Ralph. 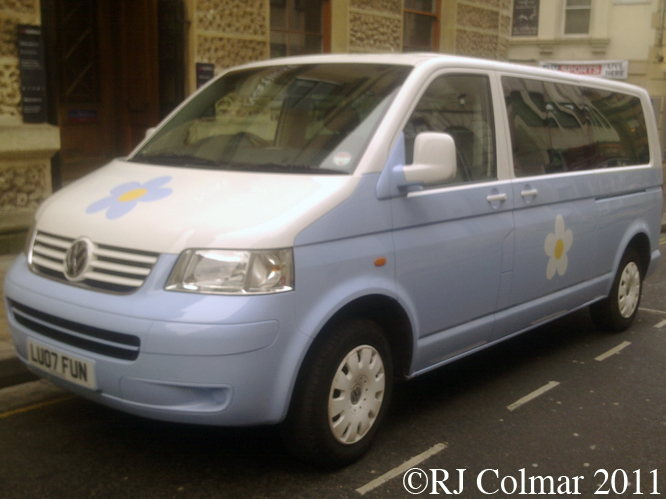 Continuing the California theme started yesterday today we are looking at a VW California. Production of the Volkswagen T5 Transporter began in 2003, this one is fitted with a 170 hp turbo diesel engine. In 2001 Mercedes Benz bought out VW’s preferred camper van outfitter Westfalia leading VW to decide to design it’s own camper around the popular Transporter platform. 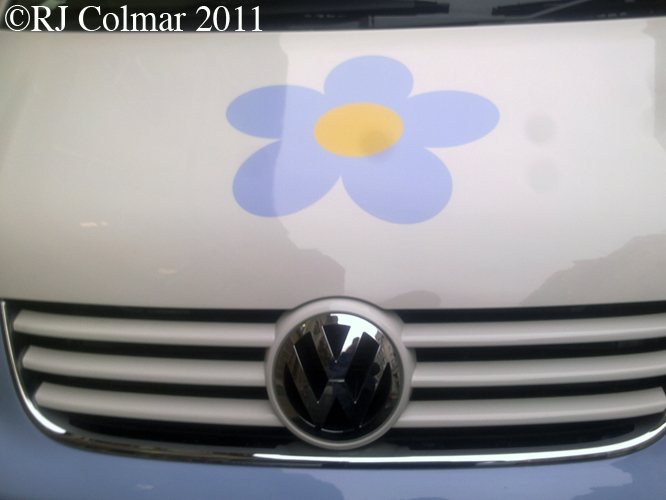 VW call their camper the ‘California’ a name that was first used by Westfalia in connection with a VW camper in 1988.
launched in 2005 the California comes with an electro-hydraulic operated elevating roof, space for two beds, kitchen sink two burner gas hob, fridge and two kitchen cupboards with integrated drawers. Among a long list of options is the VW 4 motion all wheel drive system. 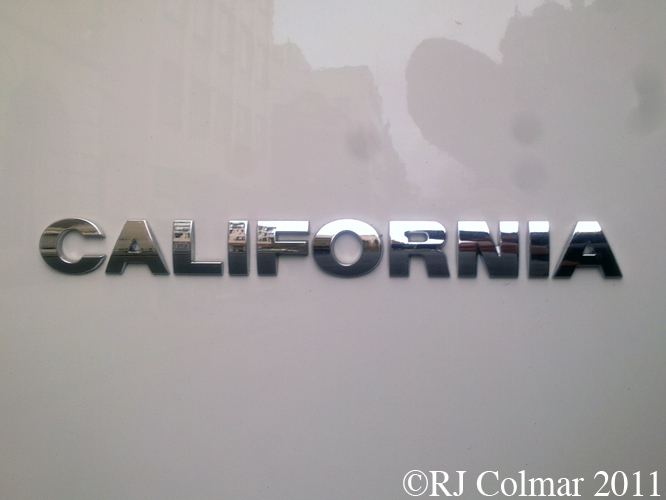 With Ford knocking on Ferrari’s lawyers doors with respect to the use of the F 150 name I wonder if Ferrari will ever be knocking on the VW’s lawyers doors with respect to the California name ? 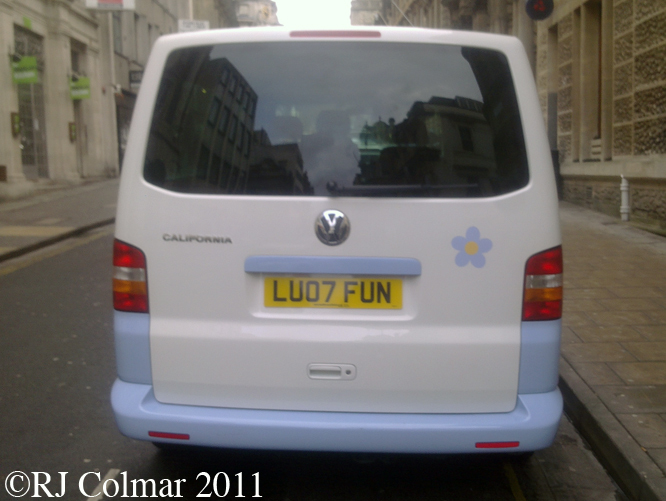 Unfortunately thanks to a US ‘chicken tax’ on imported light trucks, which the already expensive T5 is classed as, you are not ever likely to see a VW California in the State from which it takes it’s name, the California is so expensive, £40,000 / $64,000 that only around 300 a year are thought to be imported into the UK. Fancy seeing why the VW T5 is so highly rated in the UK ? Check out these two advert free clips of the T5 going head to head with the A Team van and over a timed run against the a much more powerful 204 hp Brabus (!) Mercedes Vito Sport X. Hope you have enjoyed a couple of days in the California Sunshine wishing all readers of ‘Gettin’ a lil’ psycho on tyres’ a relaxing weekend, don’t forget to come back now ! 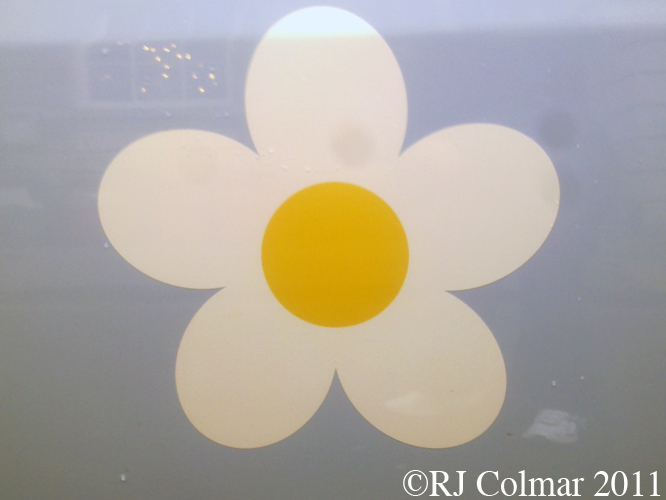 This entry was posted in Uncategorized and tagged Art, Butler, California, Chicken, Ferrari, Henderson, Needell, Psycho, T5, Tax, Tidesco, Tiff, Tyres, Vicki, Volkswagen, Westfalia on February 19, 2011 by psychoontyres.